Occasionally I receive calls asking if the Studio offers “High Tea”? I am pretty sure what the person is looking for, and with further questioning it’s clear the caller is seeking the experience of being formally served tea with dainty sandwiches, scones and small cakes on a three-tiered platter. They are actually looking for “Afternoon Tea”. (I don’t offer this, but will gladly help people find local businesses that do.) And the interesting thing here in the U.S. this experience is almost always referred to as High Tea. While I was in the U.K., whether it was in English countryside, London, Edinburgh, or rural Scotland, the tea and three tiered platter experience is referred to as Afternoon Tea. In fact I don’t recall ever seeing a sign for High Tea. In her book Liquid Jade, author Beatrice Hohenegger describes High Tea is a meal served at 5PM or later and for many working families it’s their dinner. I’m sure it varies, but High Tea traditionally consists of meat pie, cheese, egg, coarse bread and maybe a sweet—and it is served at a high (dinner) table. In some formal settings Afternoon Tea is served at low tables in sitting rooms or parlors (Low Tea? ), but in my recent U.K. travels it was primarily served at a regular meal table. 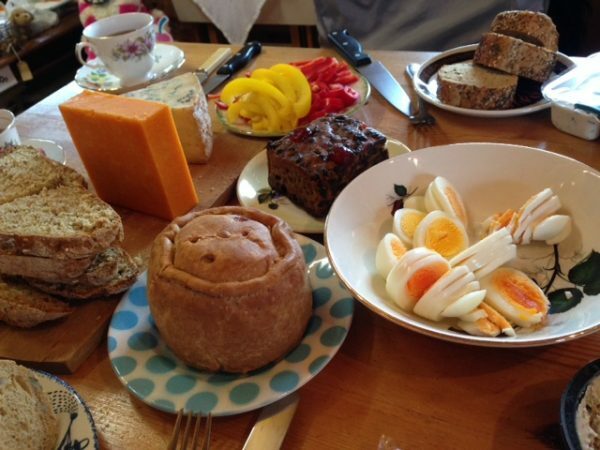 On my first day in Melton Mowbray, England, at Old Brickyard Tea Garden, owner Anna and some friends delighted me with a traditional High Tea of a pork pie, sliced egg, local cheeses, bread, a few sweets…and what a beautiful and delicious meal it was! High Tea, Low Tea, Afternoon Tea—it’s all wonderful! 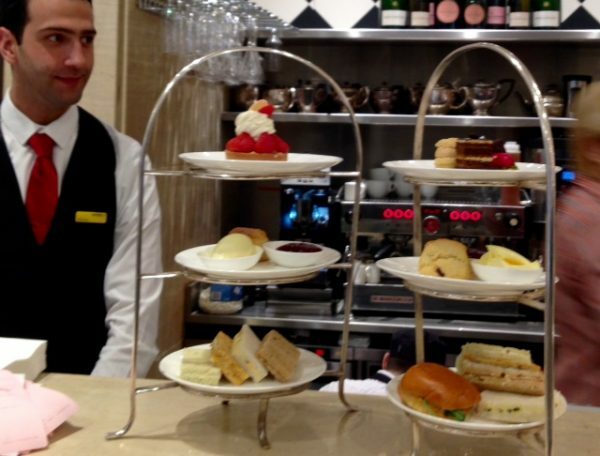 Above: Afternoon Tea at Selfridge’s in London. High Tea at Old Brickyard Tea Garden in Melton Mowbray, U.K. Melton Mowbray Pork pie is famous! 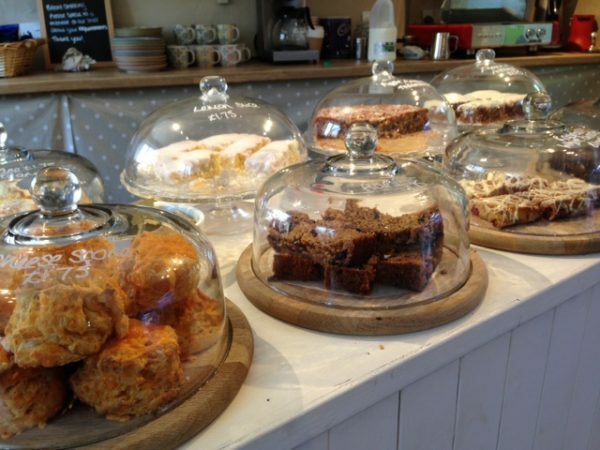 Below are cake choices at Howick Hall’s Afternoon Tea.